Sponge blasting uses a line of composite partial material that are micro abrasive with high performance synthetic sponge like material that is designed or collected to prevent any or all damage to the material being cleaned. It also collects anything thrown up by the blasting. Thus, this method also ensures the capture of most of the fugitive emissions that have the potential of being dangerous to the occupants of any area being cleaned. This protects people that could be harmed by lingering fumes or chemicals thrown into the air by the cleaning process. This method is so good at capturing these contaminants that they virtually eliminate them entirely from the air and the surrounding surface like a sponge used to wipe up a spill of liquid that covers your counter or the floor. Sponge blasting is also considered one of the most effective methods for cleaning highly sensitive materials that is considered very delicate but at the same time require an aggressive cleaning profile. This in mainly due to the fact of the material that is used during the cleaning is by its very nature is very soft and very pliable, like rubber bullets fired at a person to prevent the loss of life, this material can be used to prevent the loss of delicate material. This method of blasting is very useful in the preservation of delicate items that needs a touch up or an aggressive cleaning. Boston Mobile Sandblasting knows when this method should be used! Sponge blasting is considered one of the most environmentally friendly of the blasting cleaning method for whatever your needs, no matter how large or how small. As virtually all the material used can be run through various waste buckets which are designed to capture and filter out material that is caught in the sponge like material. 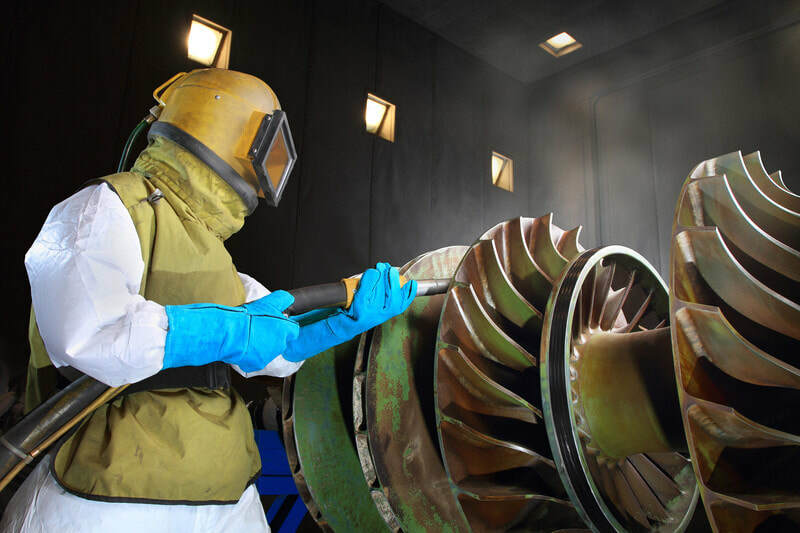 Some of the vast materials that these methods filter out are things like fine dust, hazardous contaminants such as lead, PCB, asbestos, radioactive particles, stripped or broken-down coatings, and fractured abrasives from the martial cleaned. 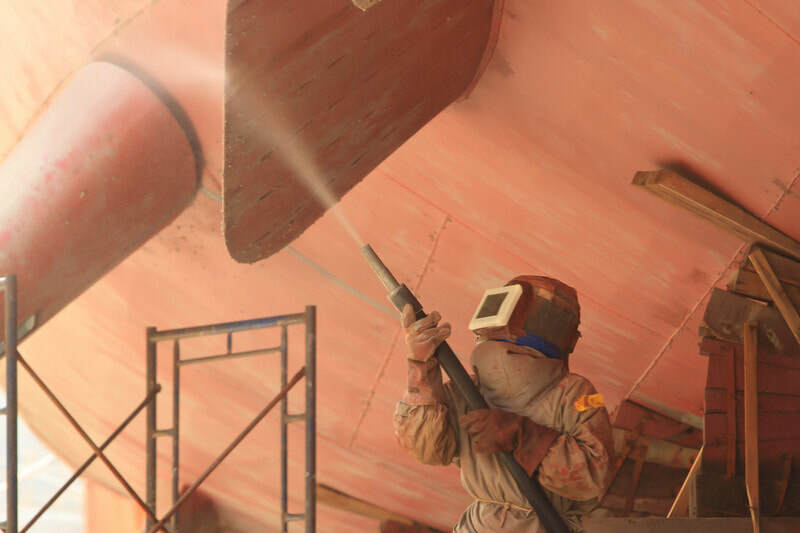 Some of the advantages of sponge blasting done by our Sandblasting Service in Boston is that it cleans dry, is low-dust, is low-rebound, and is reusable. It can also be used near operating machinery as it creates no slurry or waste that can etch steel. This means it leaves a profile as well as soft metals without leaving a mark. Sponge blasting uses a water-based polyurethane particle with microscopic abrasives. Shot at high pressure, the particles flatten against the surface, bond to the coating or contaminant and bounce off, removing the unwanted substance with it. Formulated in a variety of styles to achieve specific desired results, this blasting material is great for many uses. Aside from the preservation advantages of this method, it will also be highly useful in the removal of harmful products from any given area being cleaned at the time. 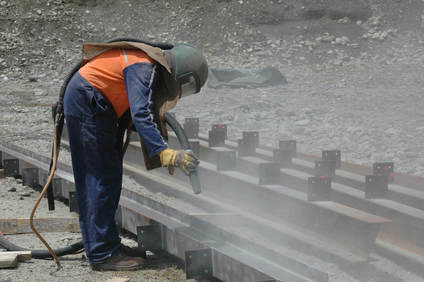 Though not perfect in the processes in doing so, the method could most certainly be used as clean up method for harmful products to ensure the safety of the environment of the current or future occupants of the area, space, or building that is due to be cleaned with abrasive blasting. Call today to see if sponge blasting is right for you! One of the most innovating and versatile methods of commercial cleaning, is the much-praised Sponge Blasting. This can be applied in a wide variety of applications with a multitude of uses. 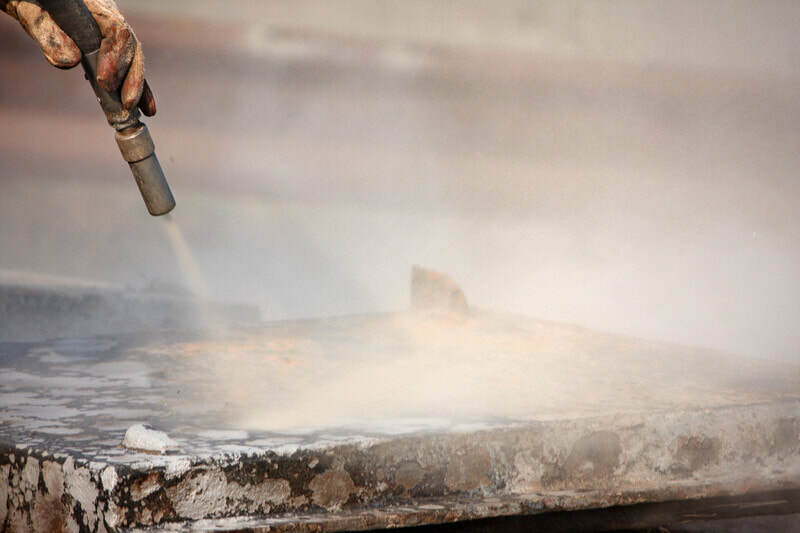 Whether you need to remove grease and oil from sensitive machinery and appliances, or strip heavy rust off a metal bin, Boston Sponge Blasting is an option for all kinds of stripping and cleaning operations. No matter how large or small your needs maybe for the use of this method of blasting. Boston Mobile Sandblasting uses sponge blasting for a myriad of situations, including: Elastoplast coatings, removal heavy industrial/commercial coatings, removal surface preparation light coatings, removal soft-metal cleaning, cleaning tile or masonry, fiberglass, cleaning graffiti removal, grease & oil removal, smoke & soot removal. ​The wide variety of this method of blasting is capable of making it a favorite among many for whatever their needs.